Mrs. Minnie Lee Stacks, 88, of Senatobia, MS passed away on Friday, February 2, 2018, at Senatobia Health & Rehab. Mrs. Stacks was born on June 15, 1929 in Barr, MS to The Late Minnie Lee Moore and Samuel Lawrence Moore. As a homemaker, she devoted her life to her family. She was a faithful and dedicated member of Looxahoma Church of Christ and loved her Lord and Savior. She was a patriotic lady who loved and was proud of her country. Mrs. Stacks leaves behind her loving family to cherish her memory which includes her daughters, Cheryl Rhodes (David) of Senatobia, MS and Rebecca Barnes (Robert) of Coldwater, MS; her sons, Anthony Stacks (Rita) of Senatobia, MS and Mark Stacks (Gay) of Nesbit, MS; her brother, Thomas Moore (Frankie) of Nashville, TN; her daughter-in-law, Sandy Stacks of Memphis, TN; her sister-in-law, Dean Moore of Galveston, TX; fifteen grandchildren and seventeen great-grandchildren. She was preceded in death by her husband of 67 years, Bennie D. Stacks, her son Gary Stacks, and her parents. Funeral services will be held on Monday, February 5, 2018, at 2pm in the Senatobia Chapel of Ray-Nowell Funeral Home with Bro. Jerry Thornton officiating. Interment will follow in Looxahoma Cemetery. Visitation will be held in the funeral home on Monday from 12pm until service time at 2pm. In lieu of flowers, memorial contributions may be made to Looxahoma Church of Christ. 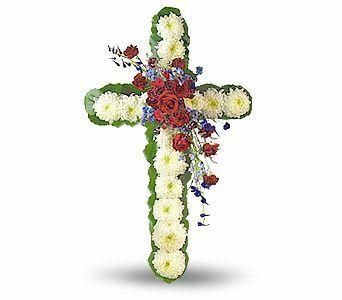 Ray-Nowell Funeral Home is in charge of arrangements.